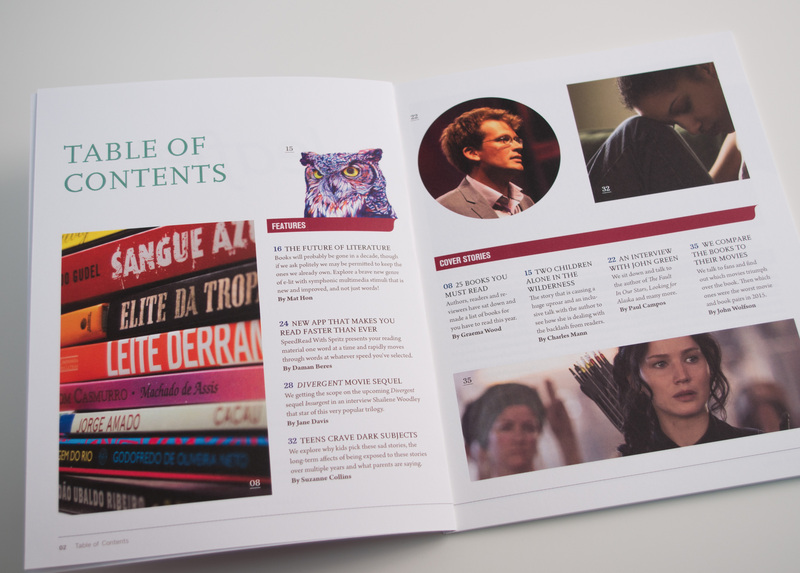 I created this literature magazine as part of my Advanced Visual Communications class. 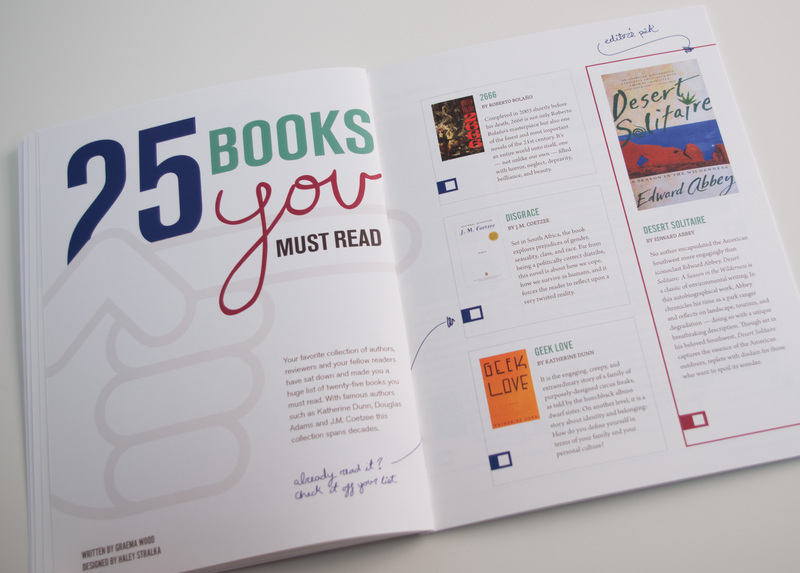 The challenge was to choose a random genre and design an entire publication that would appeal to a specific target audience. 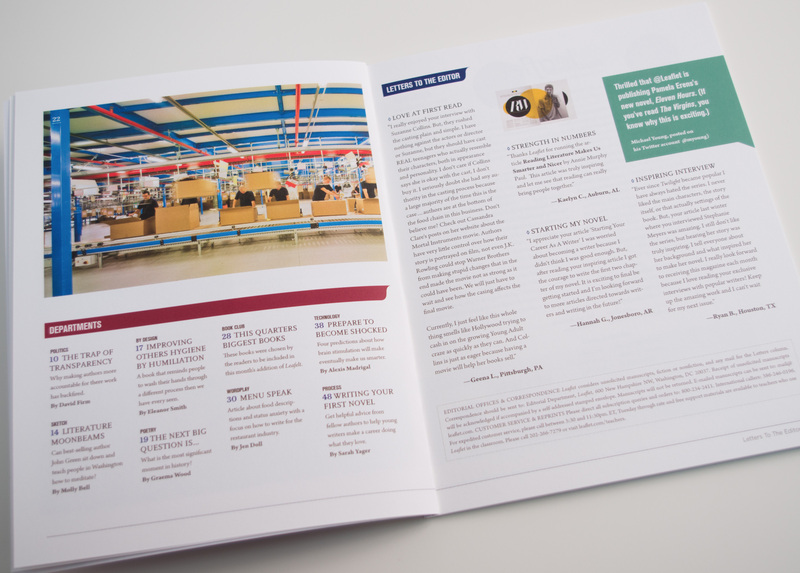 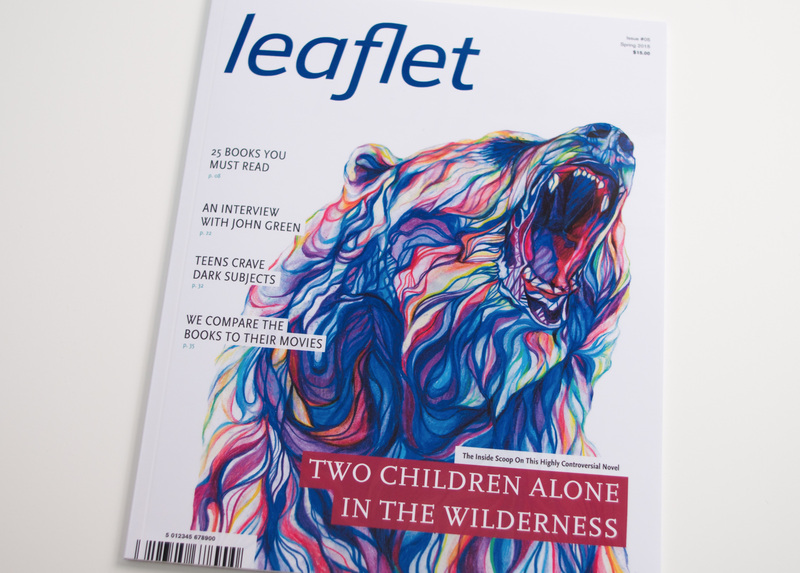 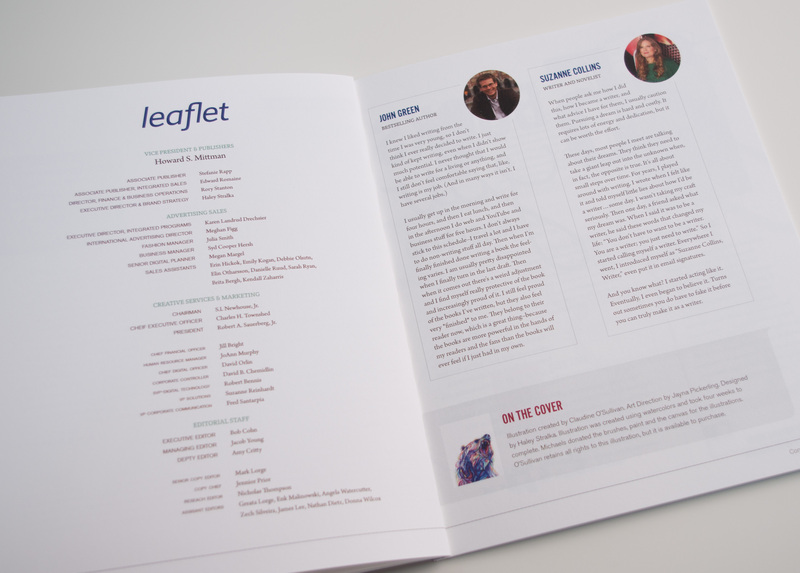 The magazine I created, Leaflet is intended for passionate young readers because it offers insightful articles, reading checklist and interviews with famous authors.